Gambit Movie Loses Director Gore Verbinski | Nerd Much? I guess you could say Verbinski folded his hand. It appears as though the Gambit movie may have suffered yet another misdeal. Deadline has reported that the film’s director, Gore Verbinski, has to bow out from the film due to scheduling conflicts. Deadline states that Verbinksi’s departure from the project is disappointing, yet amicable. However, it once again puts the X-Men spin-off into troubled waters. 20th Century Fox has struggled for years now to get production underway on Remy LeBeau’s solo tale. LeBeau is the real name of the X-Men character Gambit. Channing Tatum is reportedly still on board to play the titular role. Gambit has the unique ability to transfer dangerous levels of kinetic energy into any item that he touches. However, he famously uses his mutant powers in conjunction with a deck of cards. Gambit charges them with his abilities and then throwing them at foes masterfully. He’s also quite adept at hand-to-hand combat and frequents the use of his bō staff. 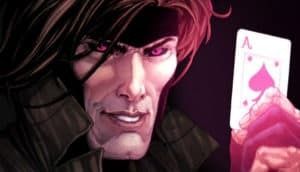 Once Verbinski was attached, the Gambit movie was slated to premiere on February 14th, 2019. However, with filming yet to begin, it’s seemingly unlikely that 20th Century Fox will be able to hold true to that date. Add to the mix the impending Disney/Fox deal, and it’s possible this potential spin-off could be discarded entirely. Gore Verbinski was at least the third director tied to the movie thus far. Prior to him, both Doug Liman and Rupert Wyatt were attached. Now, 20th Century Fox will have to look for a fourth option. The project has been “in development” as of 2014. Fans of the property have to hope that 2018 is the year things finally get going.